Posted on January 30, 2019 at 12:46 pm. Raising a child takes a village, but sometimes the only person left in that village is the grandmother. We met with three of our girls who live with their grandmothers, and were touched by the love and care provided by these strong women. 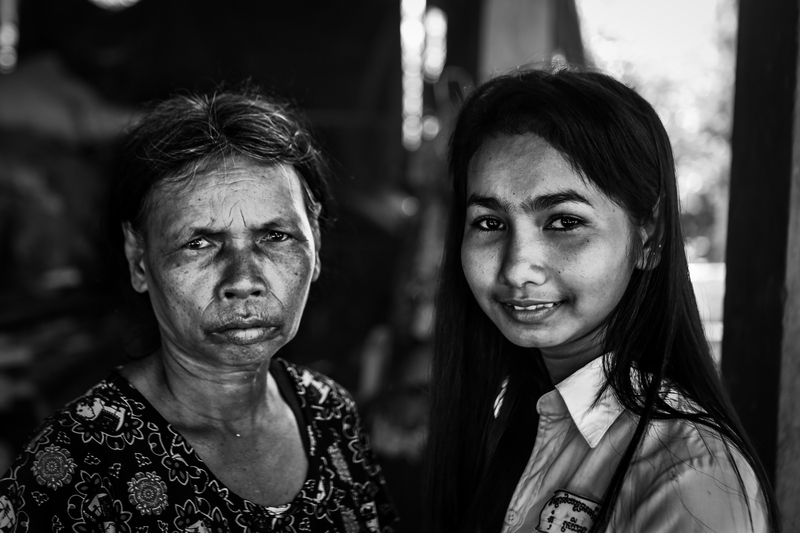 Sreyneang (above) has lived with her grandmother since she was 2 years old, when both her parents died due to HIV. Her older sister also went with her. Running in the garden are two more children – another grandchild whose parents work and live at a factory, and a young boy with Down Syndrome whose parents are from the village – Grandma cares for him while his parents work. 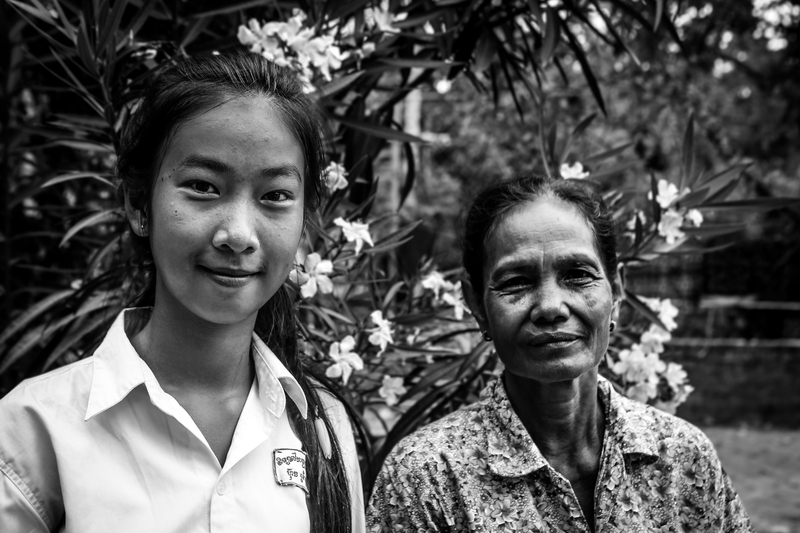 Sreyneang desperately wants to finish school, so she can get a better job that will allow her to help her grandmother. Sreykhouch (above) moved in with her grandmother about two years ago when her parents divorced. They both remarried and have new children in the city, but Sreykhouch’s grandmother didn’t let her go with them because she feared for her granddaughter’s safety. Sreykhouch is happy with her grandmother and wouldn’t have it any other way. Daneth (above) prefers we don’t share the details of how she ended up with her grandmother as it is an on-going situation. She is a dedicated student who hopes to become a Chinese language teacher or a tour guide when she finishes school. Daneth’s grandmother is elderly, and they both worry constantly about what will happen to Daneth in the future.